BOWLING GREEN — At the crowded Cooper Pool on the Bowling Green State University campus, hundreds of Ohio high school swimmers took to the water for a chance at a state swimming championship berth. Although the state qualifiers won’t be officially announced until Sunday Feb. 19, here is how the Galion Tigers swimmers did on Friday. “The Galion Tiger team had 29 swims with 22 of those swims being season-best times. The remaining times were close to their season-best times,” said head coach Ted Temple of his teams’ overall performance at districts. Galion’s boys squad finished seventh overall at the district meet with 131 points after their sectional championship. Below are where the boys finished and with what time, by event. Note: SB will represent a season-best time for that particular swimmer. “This was one of the best district meets speedwise I have seen, the 50-free had seven times under 22.00,” added Temple of this event. The team from Celina had three swimmers in the top four placers, all under 22 seconds. 200-yard medley relay: 5. Strack, Rigdon, Karnes and Skaggs, 1:42.90 (SB); Unofficially qualified for the state championships as the 23rd seed. 200-yard freestyle relay: 4. Skaggs, L.Rose, Karnes and Rigdon, 1:30.84 (SB); Skaggs and Rigdon switched spots on this relay before the meet. By moving Skaggs to the first swimmer and Rigdon to the anchor, the Tigers were able to not only achieve a season-best time but broke the school record in the event. Unofficially qualified for the state championships as the 19th seed. On the girls side of things, Galion scored six points and finished 27th overall. “The Galion swimmers did extremely well getting two relays and one individual in the state meet is an accomplishment. The men’s team swims on Thursday (prelims) at CT Branin Natatorium in Canton with the goal of swimming in the finals on Friday. I was really proud of the swimmers, swimming one of the best districts in my tenure of 24 years,” continued Temple. Again, all state qualifiers announced in this article are “unofficial” and will not be made “official” until Sunday Feb. 19. 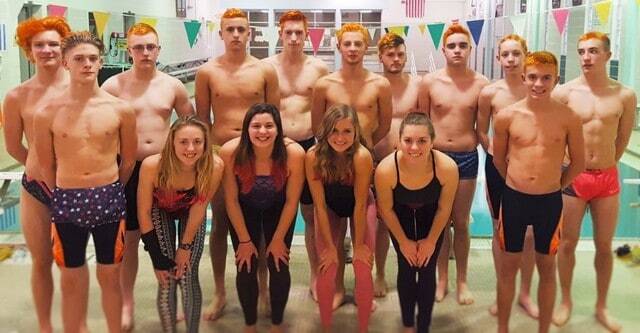 Congratulations on a wonderful season thus far Galion Tigers swim teams!